This story is based on reporting by Torri Carroll, Bayley Chenault, Brenna Donnelly, Stephen Ellis, Ashley Ford, Hilaree Foreman, Katlyn Gast, David Gillespie, Ariel Hall, Stayton Hatley, Denise Harroff, Marina Hayes, Shelby Hilton, Sara Honeycutt, Alison Jackson, Madalynn Mitchell, Forrest Murphy, Violet Newell, Jordan Palmer, Jessica Parton, Klarissa Perez, Ashley Perkins, Kelsey Poynor, Leah Ray, Christian Rocha, Jaimey Sanchez, Veladee Sovvilong, Kaitlyn Shaw, Dixie Taylor, Jessica Votaw, Dalton Wolverton and Kayla Zimmerhanzel. A majority of the Tarleton community supports ongoing U.S. military strikes against the terrorist group ISIS, according to interviews with numerous students, staff and faculty members. Do you support or oppose the military action? Do you believe ISIS poses a serious threat to this country and to this community? How do you feel the crisis is relevant to you? Are you concerned about United States involvement in another Middle Eastern conflict and how long the war will last? Of the 70 people interviewed, almost two-thirds said they supported the bombings. Nine said they were not sure about supporting or opposing the military action, five said they didn’t know anything about it and 10 opposed it. Those responding represented a cross-section of student classifications and majors and included several faculty members, veterans and ROTC members, university staff and interim Tarleton Police Chief Alvin Allcon. Some in the Tarleton community questioned whether the university or Stephenville had a disaster plan in place to respond to a possible terrorist attack. Allcon said he could not discuss “any plans we may or may not have in place” regarding ISIS threats to strike the United States. Although a handful of students said they hadn’t been following the news about the military strikes, most of those interviewed said they found the crisis to be relevant to their lives even in a small college town such as Stephenville. “This is relevant to everyone,” said Brittany Ellis, a senior accounting major. “ISIS is a problem that will not be going away anytime soon. It will have a great impact in upcoming elections and an even greater impact in the next presidential election when foreign policy is brought up. “Given the profound disdain for Christians by the radical Muslim elements, we are certainly well within the scope of their terror cross-hairs,” she said. 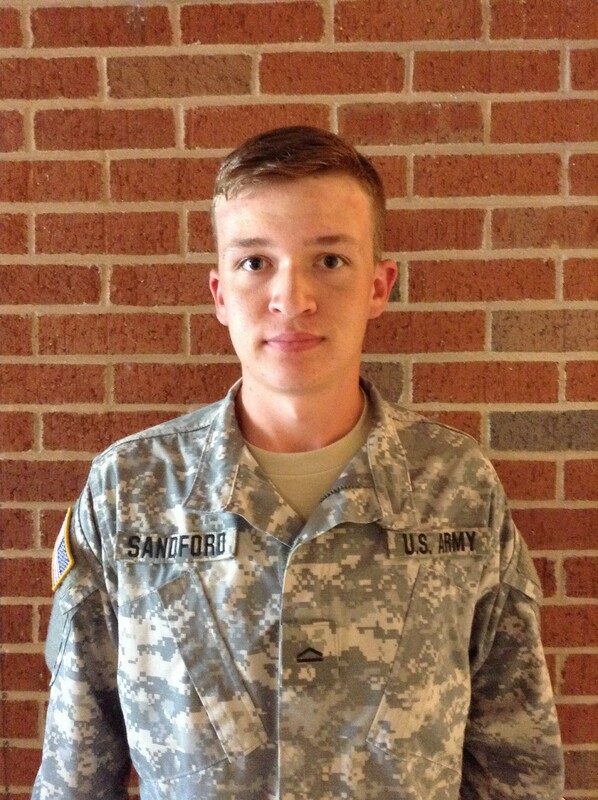 Houston Sandford is a sophomore marketing major in ROTC. 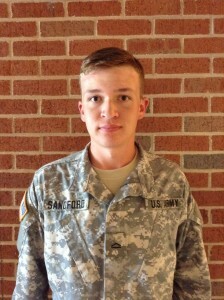 “I want to serve our country. Things like this foreshadow what I could be looking at in the future,” he said. Several of those interviewed said they wished the United States had taken action against ISIS sooner. Those opposing the military action included Waid Thompson, a senior business administration major who said the United States should stop getting involved in foreign affairs in the Middle East and killing innocent people to stop terrorism. Michael Vanderhoff, a sophomore kinesiology major, said the bombing was “unnecessary” and could lead to sending U.S. troops into ground combat. Economic issues should take precedence over handling problems overseas, she added. Reaction to the airstrikes on the Tarleton campus reflected what several polls of Americans also have found. A CNN/ORC International poll of more than 1,000 Americans showed that an “overwhelming number” supported the airstrikes against ISIS. However, fewer than four in 10 Americans favored sending U.S. ground troops into combat, the poll also found. But Raymond Jones, a sophomore biomedical science and history major who is in ROTC, said the United States is just “flexing their muscles” with the air attacks. The latest reaction to the bombings is in contrast to a year ago when a majority of Tarleton students interviewed said they were opposed to the prospect of attacking Syria. But that was before ISIS began its reign of terror with beheadings, takeovers of communities and public facilities and vows to kill any opponents. Many of the Tarleton students who answered questions said America needed to take strong action to keep terrorists from striking the homeland. “We need to do what we can to squash them to stop them from infiltrating America,” said Alexandra Roitenberg, a sophomore nursing major. Veterans who work at Tarleton also supported the U.S. airstrikes. “I know what the people and the fellows going in harm’s way are going to be experiencing,” he said. Some of those interviewed expressed concern about retaliation and inspiring more acts of terrorism against Americans. Macy Gilcrease, a junior from Crandall, said she is taking the middle road viewpoint and feared the strikes will just enrage and encourage ISIS. Nathan Mena, a freshman music education major, said he believed war was a way of life to terrorists. 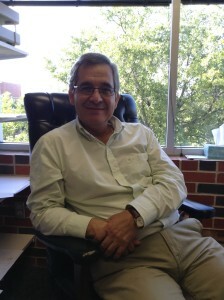 Dr. Jesus Velasco is an associate professor of social sciences-political science. Dr. Jesus Velasco, associate professor of social sciences-political science, said anger is likely to increase among the terrorists and he expected them to continue sending messages to the United States. One thing almost everyone interviewed agreed on was that the fighting with extremist groups in the Middle East would not end soon, if ever. Next Article » Surge of hiring cuts US jobless rate to 5.9 pct.